All of our available models in the 10 foot wide by 10 foot high size range. This is a collection of our door models available in size of 10' wide by 10' high, this also covers rough openings ranging from 9' 1" to 9' 11" in width and 9' 1" to 9' 11" in height. 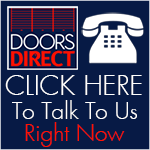 Roll Up Doors Direct has once again raised the bar with the Model 1000 commercial door. The Pre-Assembled Industrial Door (PAID) features the traditional dependability and sturdiness of a commercial door, while significantly saving time and money during installation. Model 3100 is our certified wind load rated rolling sheet door (Wind Rated up to 16' wide) that meets specified wind loads required by even the most stringent building codes. The quick installation and smooth operation, particularly compared to other doors, further demonstrates how user friendly this door is. Model 3652 is our certified wind load rated nylon rolling sheet door that meets specified wind loads requirements of the International Building Code and the Florida Building Code. Model 3400 is our Miami-Dade County certified wind load rated rolling sheet door that meets specific geographic building codes. The 24 gauge corrugated door curtain is manufactured from full hard galvanized grade 80 steel and coated with Super Durable polyester paint that is backed by a 40 year film integrity and a 25 year no-fade limited paint warranty.